Following the digitalization of the motor car, now it's time for the next car. 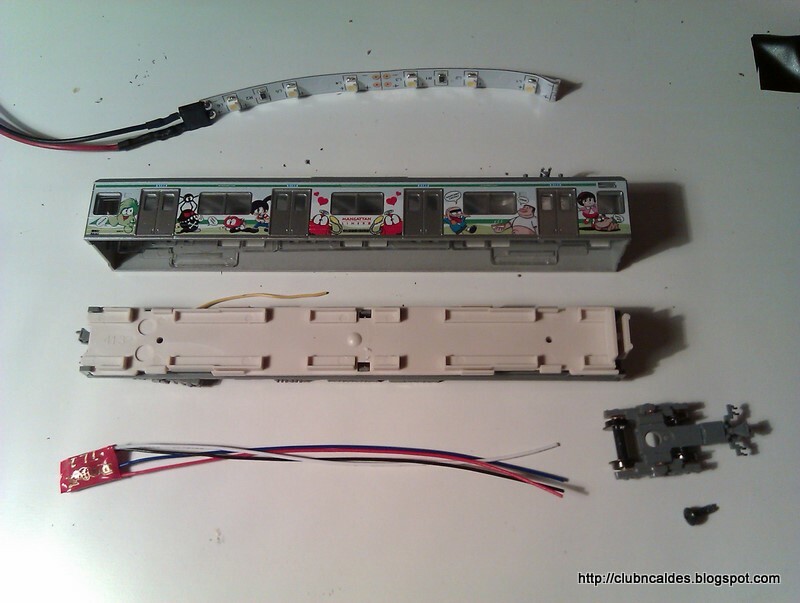 I want to add interior lights with a led strip and a very simple decoder with just one output. I selected the Digitrax FL1 because of price and size. First of all, remove the shell with the help of a plain screwdriver. It's just clipped, there aren't screws nor tabs. After that, unscrew both bogies (bogie=chassis or framework carring weels) removing the screw of each one from the bottom. This also frees the white plastic cover simulating seats. Under that cover you will see the metalic strips which take the current from the tracks (through the bogies). Now cut that plastic piece to make room for the decoder. 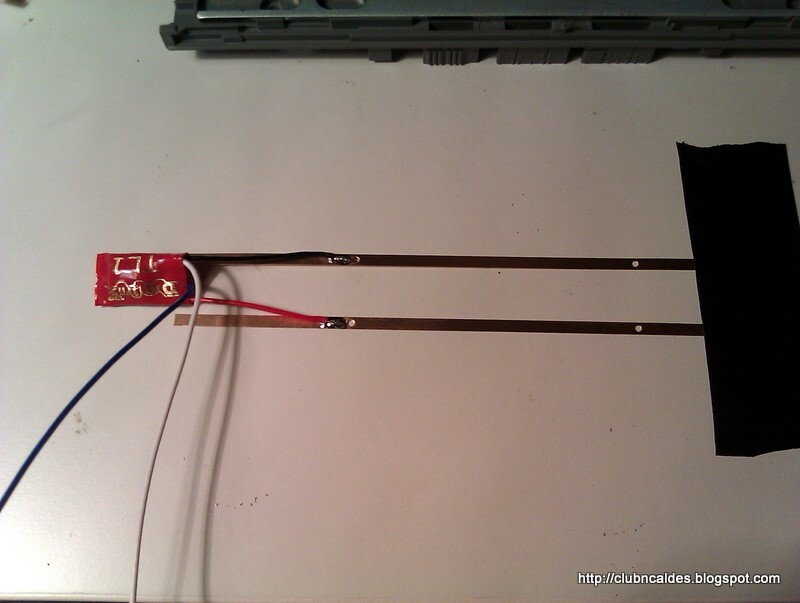 That's not strictly necessary, but doing it this way your decoder will be hidden from the outside of the car. Be careful not to cut the hole where the bogie screw is fastened. 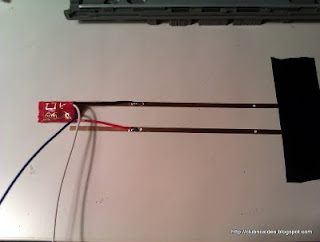 Remove the metallic strips and fix them to solder the feed wires of the decoder (red and black). Calculate where to solder them so it fits with the hole yo previously cut in the white piece. 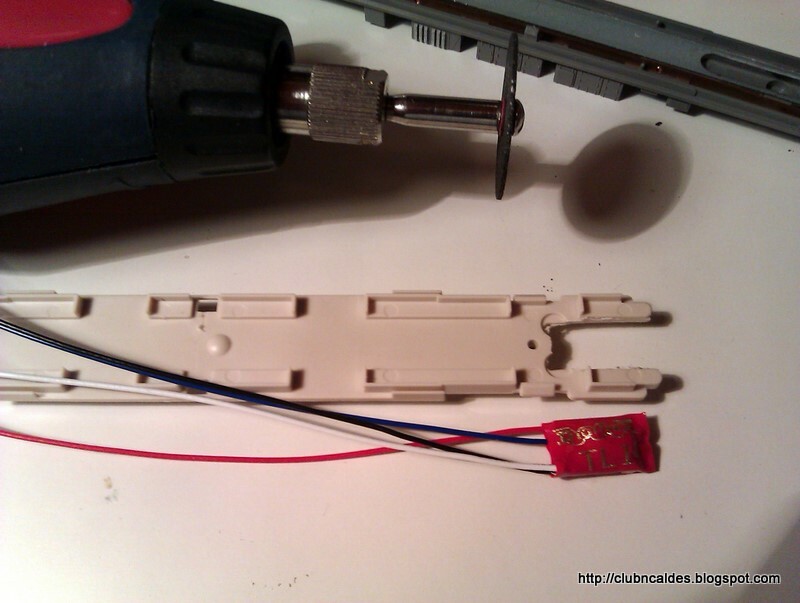 Now you can mount the metallic strips, the white plastic piece and screw the bogies with the decoder in place. Fix the led strip inside the shell and solder to the decoder. Finally, program the Id. of the decoder with the same number than the motor car's decoder to light all the cars with just pressing F0.